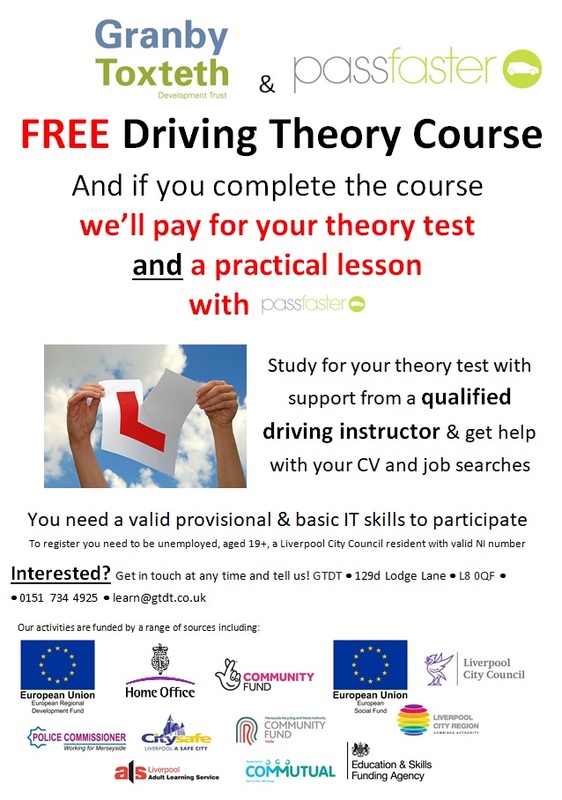 We are really excited to be working in partnership with Passfaster to deliver a 6 week Driving Theory course. The course covers all aspects of the driving theory and hazard perception tests with the support of a fully qualified driving instructor and looks at learners employability skills and CV's. Best yet....if learners fully complete the 6 week course, we will pay for them to take the driving theory test and arrange for them to have a practical lesson with Passfaster. Learners need to be unemployed, aged 19+, a Liverpool City Council resident with a valid NI number. Learners also need to have a valid provisional driving licence and basic IT skills to participate.